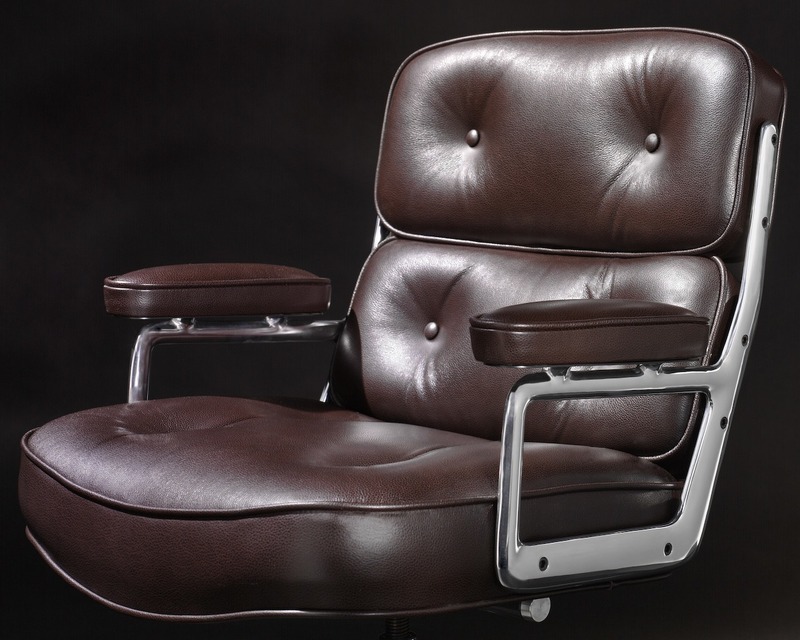 Designed by Charles and Ray Eames This luxurious chair is an example of Charles Eames’s belief that “details are not details; they make the product.” Generously sized, the executive work chair features a lightweight aluminum frame and base, and finely detailed leather or fabric upholstery accented with covered buttons and edge details typical of traditional fine furniture. 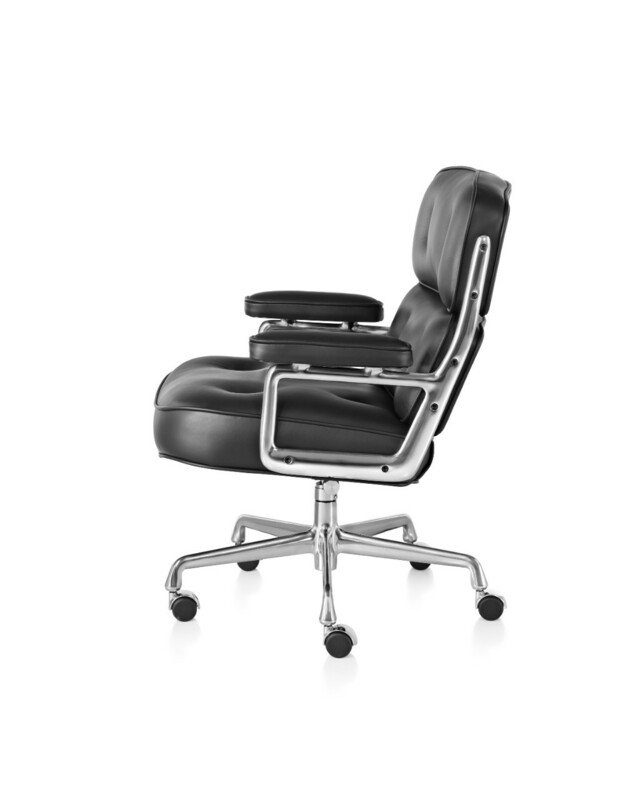 Comfort comes first with the Eames Executive Chair. Its seat has 4-1/2-inch-thick foam cushions; the back cushions are 3 inches thick. Armrests are well padded. 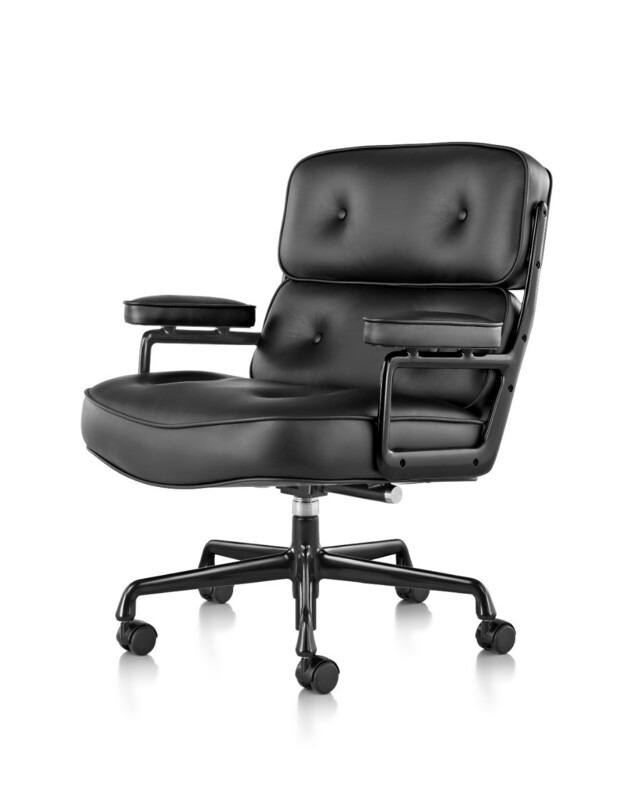 Adjustable seat height, tilt-swivel mechanism, and a five-star base add to the comfort. 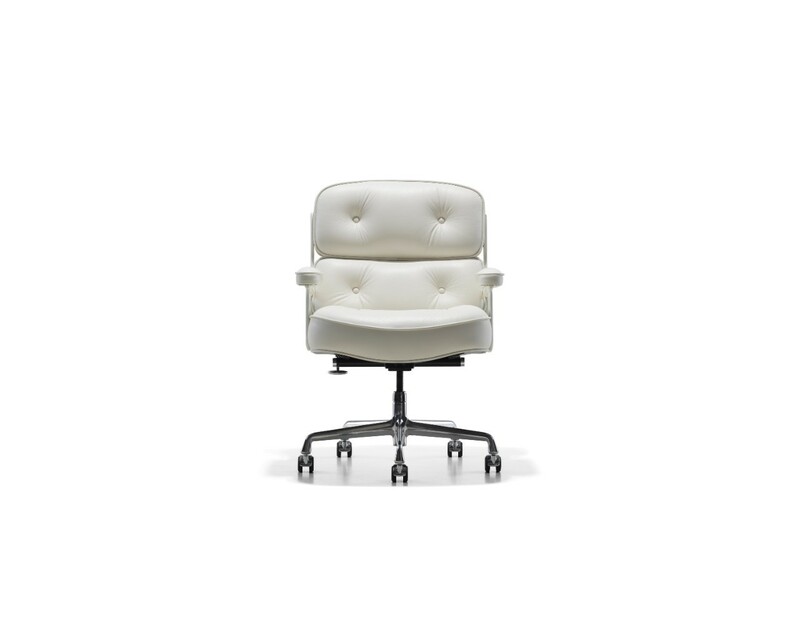 Available with casters or glides, the chairs can work well in a conference room, board room, conversation area, or behind a desk.